DDC Laboratories India has now reached in the city of Itanagar. DNA Test in Itanagar Arunachal Predesh can be undertaken for both legal and personal purposes. DNA Test has become the most reliable way to find answers to many problems. 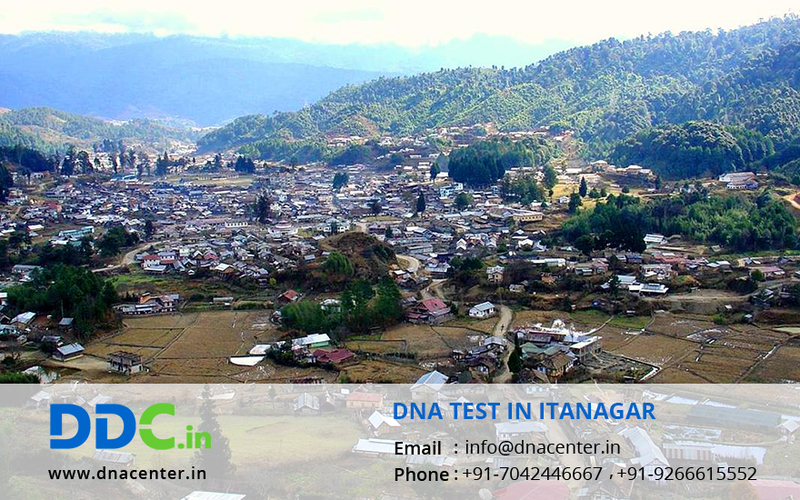 DNA Diagnostics Itanagar is an AABB Certified laboratory and has all the hi-tech equipment. DNA laboratory ensures faster results as hi-tech and experienced personnel are a part of our team. Now the patients don’t have to wait for a longer duration for results and can be sure about their privacy. In cases of natural calamity, where mass deaths occur, sometimes deceased bodies get rotten over the period of time. In such cases, DNA testing helps to find their family. Any body part can be used for DNA Test be it bones, blood or skin. DNA test has acted as a tool to unite people across this Earth who are finding their dear ones. Relationships are proved by DNA testing and this legal proof is accepted throughout the world and even mandatory in few countries for immigration purposes. If we look at the police records, many criminal cases are solved with the help of DNA Testing. From a single strand of hair to a blood drop, or even saliva can work as a clue to nab the criminal. Samples are collected from the crime scene and DNA Testing is done. Genetic diseases, if can’t be cured but can be prevented to a great extent with the help of a simple DNA Test. Also, Foster parents can get this test of the child they are adopting to avoid any disease passing on to the further generations to common. So DNA Testing in Itanagar helps to detect genetic diseases. DNA test in Itanagar assures accuracy rate and confidential results. Samples are now collected from home too according to the convenience of the patient. You can also order a Buccal Swab Kit and can collect the sample yourself.